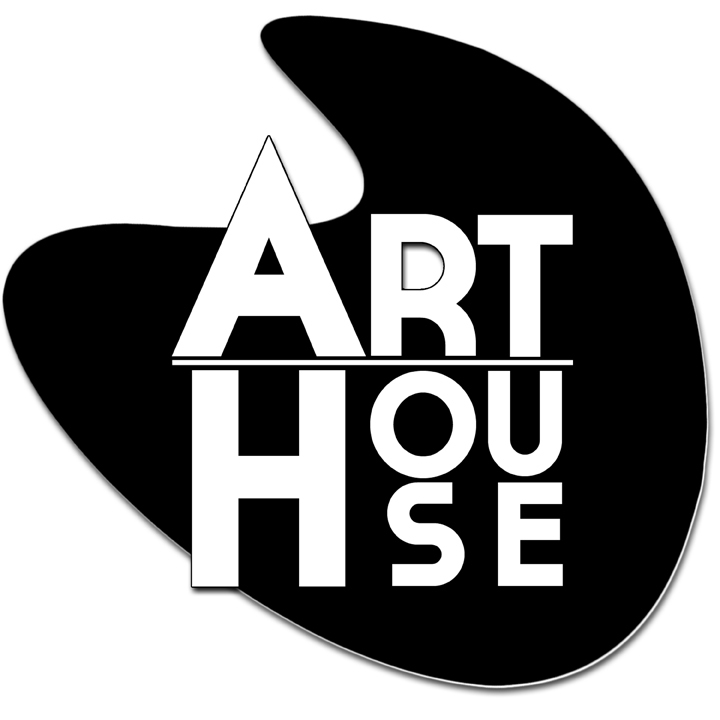 Art House is a vibrant and welcoming center founded on the belief that creative arts enrich lives. Through rotating exhibits, focused instruction and educational outreach, our mission is to create opportunities for the economic and artistic growth of established and emerging artists and to nurture the community’s appreciation and understanding of the arts. The building at 531 Court Street in downtown Fulton, Missouri, is the home for the nonprofit Art House gallery. In just three short years we have become the artistic hub in Fulton’s Brick District. We are a center for the promotion and celebration of art for our community. The Art House gallery is pursuing its 501c3 charitable organization status. The goals for this charitable enterprise include the promotion of the arts throughout our community through the display and sale of fine art, the support of local and regional artists, and the hosting of art education and other events. The Art House also serves as a centerpiece in the efforts of the Brick District to bring more events, tourists, and businesses to our historic downtown. The gallery is open five days a week. We represent over 100 regional artists and feature paintings, ceramics, jewelry, textiles, hand-made greeting cards and much more. The Art House hosts classes teaching painting, ceramics, jewelry making, drawing, fiber arts, and other fine arts as well as other events. People of all skill levels can explore the fun of creating art with music and drinks during “Fun Art Fridays.” The gallery is also available as a venue for receptions, parties, and other events. Our two major regional events in the year are Callaway Plein Air, held the last weekend of May, and Autumn on the Bricks, held the second Saturday in October. Exhibits are rotated multiple times per year. The Arts Council of Southeast Missouri is dedicated to serving the artists and residents of the 28-county district they represent in the Southeast Missouri Region. By sponsoring over 100 different events throughout the calendar year, the Arts Council strives to connect individuals with the arts in exciting, fun, and interactive ways to create experiences meaningful for all. Bluestem Missouri Crafts, Niche Magazine's Top Retailer of American Crafts, is located in the heart of historic downtown Columbia. As a partnership of artists, Bluestem's three-room gallery features the work of 325 artists and craftspeople from Missouri and its eight neighboring states. The dynamic and evolving collection includes clay, glass, wood, metal and fiber. From traditional to contemporary works, Bluestem's nationally-recognized artists set the standard for regional excellence. Bluestem offers distinctive gift wrapping free of charge, information cards about each artist, and a knowledgeable sales staff ready to assist you. Caroline Thompson Studio & Gallery, in Cape Girardeau, MO, is a teaching studio where Caroline an established artist and teacher, shares her love of design and creativity. She had taught in Boulder, CO and Franklin (Nashville), TN before moving to Cape Girardeau in 2017. She will begin a new workshop schedule in January. Caroline will also hosts First Friday events and receptions in her studio/gallery, where she will invite guest artists from her region to join her for the evening. Caroline is a native Missourian, who brings her abstract/expressionist paintings and creative energy home. Caroline teaches a theory that emphasizes the importance of focus on the creative nature and spirit that guides the work in progress. This often reveals something unexpected for the artist and possibly changes the individual creative journey. Caroline Thompson Studio & Gallery is a member of the SEMO Arts Council and is open FIRST FRIDAYS, MAY TO OCTOBER. Caroline is a member of the Sainte Genevieve Artist Guild and the Visual Arts Coop Gallery in Cape Girardeau. Volunteers staff the gallery, as well as assist in special events. It is the generosity of theses volunteers that allows the Columbia Art League to provide much of its community programming. If you are interested in volunteer opportunities, please contact us at info @ CAL for more information. Features Route 66 literature and memorabilia along with the areas most unique offering of traditional American-made gifts and home decor. Mid-Missouri Arts Alliance is a 501(c)3 non-profit organization supporting local artists through exhibitions and scholarships in mid-Missouri. While raising awareness of the value of art, ​we provide opportunities for artists of all ages, art educators, and build community support for the arts. MMAA is located in mid-Missouri in Ashland. MACAA is the Missouri Association of Community Arts Agencies, Inc., a statewide service organization dedicated to strengthening community arts throughout Missouri. MACAA is a network of over 70 Missouri community arts agencies and over 1350 Missouri artists. MACAA has served communities, community arts agencies and artists since 1979. We believe that the arts make communities better places to live. MACAA programs and services are designed to enhance members' ability to create and sustain programs and services which meet their community's needs. That’s the question Greg Wood and Danita Allen Wood kept asking themselves when they returned to their beloved home state in 1995. So, upon their return to their beloved state, they wondered why Missouri didn’t have a state magazine. They had both been in the magazine business their entire careers, and they knew about 25 other states, many with smaller populations, that had beautiful magazines. Through research, they learned that there once was a state magazine called Missouri Life. It started in 1973 but ceased publishing under that name in the late 1980s after a series of ownership changes. They loved the name. It seemed to encompass all the things that should be in the magazine: Missouri’s stunning scenery, its fascinating people, its rich past, and energetic present. Today, we’re proud to deliver Missouri Life to 26,000 Missourians, and an audit of our circulation by an independent firm has shown us that each copy is read by 4.1 people; that's about 107,000 total readers. Aside from a sizeable number of readers, MIssouri Life has received many awards from state and international organization, including the IRMA Magazine of the Year Award, both in 2008 and 2012. 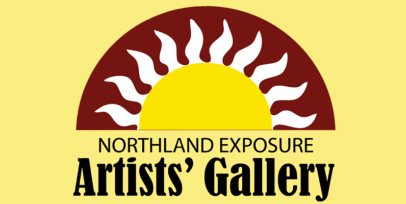 Northland Exposure Artist's Gallery has become a destination gallery for art lovers in the greater Kansas City metropolitan area and throughout the Midwest. Our artists offer a range of artistic expression and media, including oil, acrylic, pastel and watercolor painting; a variety of mixed media and drawings; sculpture; handcrafted jewelry; photography; pottery; stained glass and fiber art. New artwork is continually introduced throughout the gallery adding to its freshness and diversity. Founded in 1978, PWA offers planning, architectural, interior and sustainable design services to a wide variety of education, corporate, healthcare, government and private clients throughout Missouri and the United States. For over 36 years the firm has produced architecture that is expressively creative, workable, affordable, sustainable, and responsive to the missions, values, spatial needs, functional and budgetary requirements of our clients. We continue this tradition by working with you to produce architecture that fits your life and your community. Stone Soup offers a diverse assembly of fine contemporary 2-D and 3-D artworks for corporate, residential, and wearable art needs. We feature exceptional local and regional artists whose works appear in private or corporate collections around the world. Come in and engage with the collection and featured artists through our bi-monthly open house. These events are lots of fun and include live music, gourmet appetizers, and beverages. SW MO Art & Craft Guild is composed of people with a common interest in the advancement of art and fine craft. We are an association and network devoted to the region's fine art and fine craft and the people who create it. Through developing the understanding and appreciation of art and craft. By helping artists grow their technical skills, increase business and peer contacts and achieve greater marketability for their work. By presenting workshops, demonstrations, displays, events and publications to expose future artists and the community to the possibilities of art as a vocation. The Foundry Art Centre resides in what was once a train car factory; a 1940’s structure formerly owned by American Car & Foundry. Rather than demolish the 36,800 square foot building, the community of St. Charles worked tirelessly to complete a 2.2 million dollar renovation and opened the regions’ premiere, interactive, interdisciplinary art center in the spring of 2004. As a vibrant home to the arts, the Foundry Art Centre raises awareness and appreciation of the arts throughout the region. Alive with activity, the Centre’s programming reinforces the importance of the arts and helps ensure that arts and culture remain vital. Artists, patrons, young people and the community at large continually find new ways to interact at this unique facility. The Foundry Art Centre includes 5,200 square feet of Smithsonian-caliber exhibition space to host national exhibitions. Special touring exhibitions involving a variety of media, curated exhibits and juried competitions are displayed in the galleries. Artists’ studios with open glass fronts on the mezzanine level of the building allow visitors to see artists at work and interact with them as they practice their craft. The artists’ work represents a variety of media, including oil painting, printmaking, wheel-thrown ceramics, sculpture, and watercolor. Opened in 1987 in Springfield, Missouri, we are a regional destination for fine art and fine contemporary American Craft, featuring both regional and national artists in watercolor, oil, pastel, ceramics, glass, wood, jewelry, mixed media, sculpture and fiber art. Changing shows are featured in our upstairs gallery, usually opening the first Friday of the month. In addition we feature a year-round Holiday Gallery including: Christopher Radko, Byers’ Choice Carolers, Inge Glas, Wilhelm Schweizer Pewter, German Nutcrackers and Smokers, Joy to the World and much more.